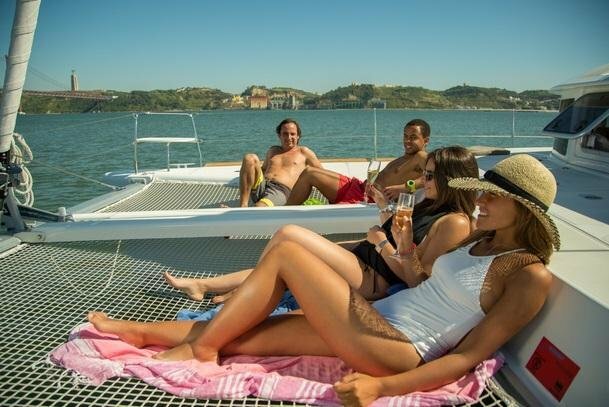 This new catamaran has all the luxury and confort that only a boat like this can offer. The tour begins in Alcântara, head off to explore the city. 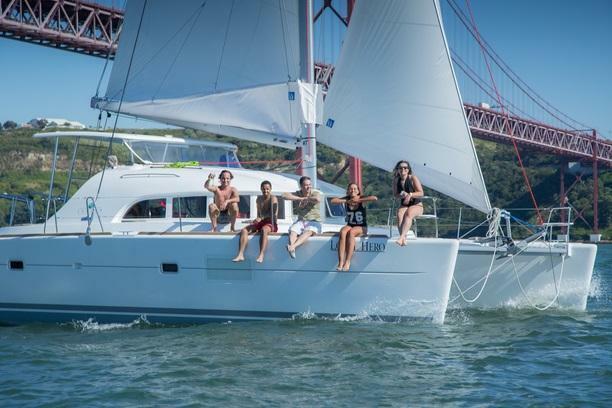 In Alfama its time to reverse the course and we will go in search of some nice beaches of Estoril and Oeiras. Releasing the anchor in front of a beach, you start the bathing and snorkeling while the crew takes care of your lunch. We will do a barbecue accompanied by all the Portuguese delicacies such as porc sausages, cheeses and homemade bread. After lunch we recommend the sunbathing mattresses on the deck enjoying the views and the quiet and silent navigation . 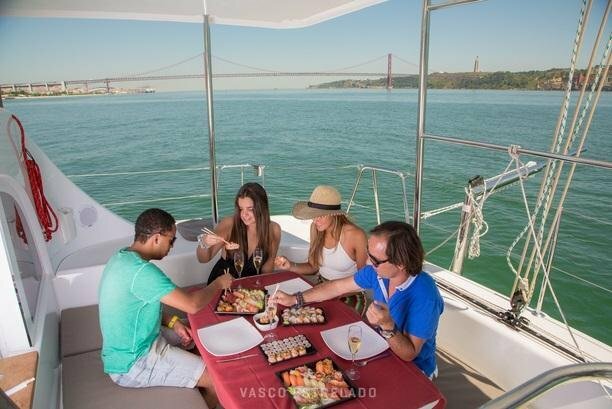 Let yourself involve in the breeze from the Tagus while relaxing with a long drink and magnificent scenery. 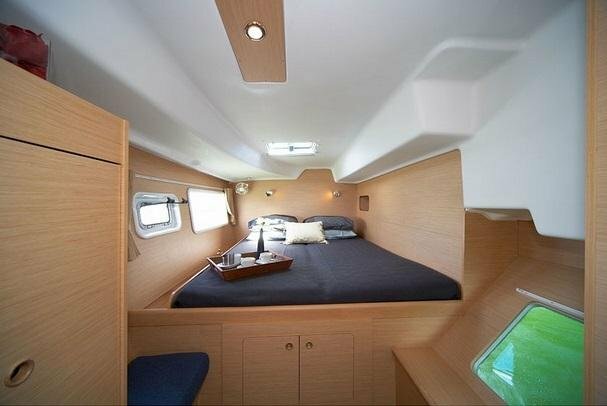 After docking in the marina, the night is spent on board with all the comfort and privacy. In the morning enjoy nice breakfast and start the day in the best way. 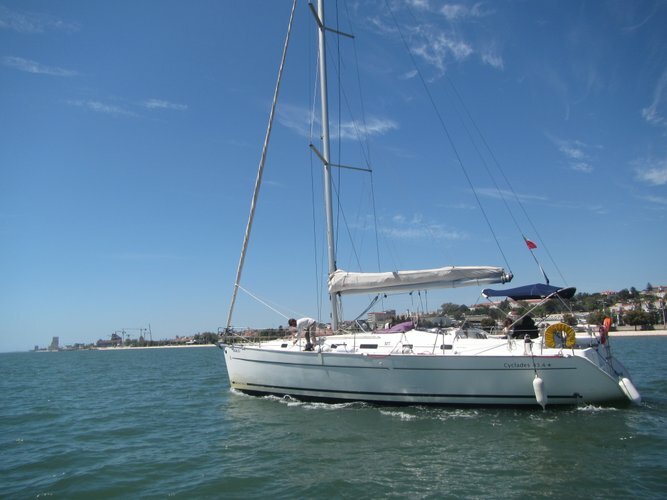 Includes one hour of navigation done at night or if you prefer in the morning while having breakfast. The boarding is in Doca do Espanhol (in Alcântara), about 500m after the Orient Museum, near to "Kings and Queens" and “Dock's” discotheque, next to "Confeitaria Nacional" wood store. Will a crew member join you? 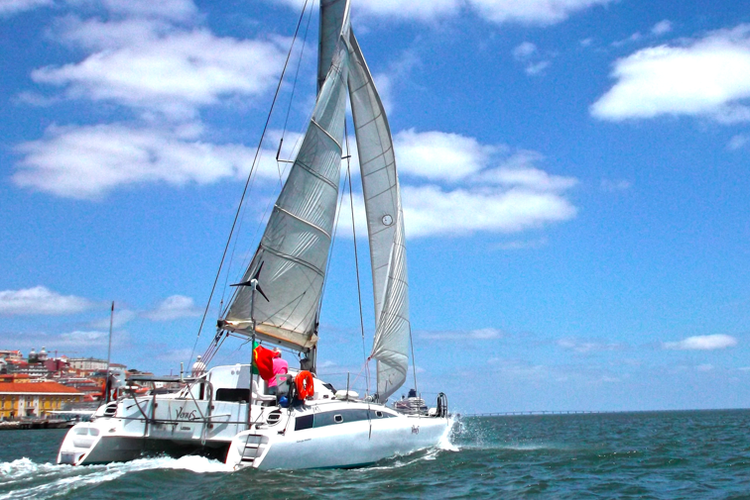 There will be 1 or 2 crew members on board depending on whether you have food on board for this boat rental. 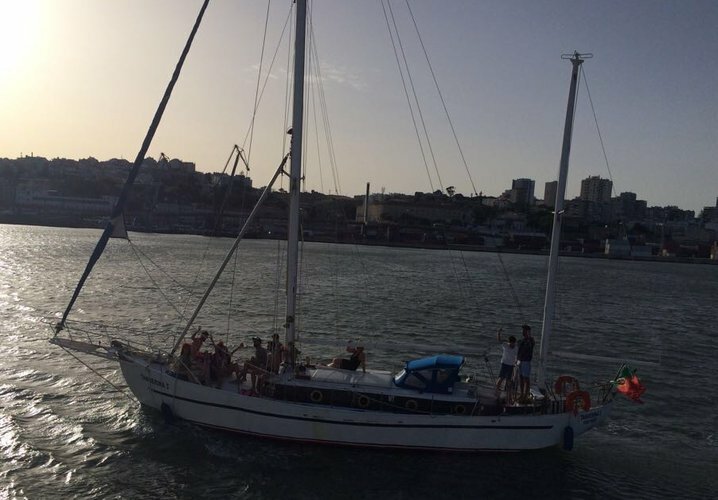 If you want to add BBQ there is an extra cost of 12€ p/person for this boat rental. The BBQ includes: cheese and chorizo starters, grilled meats, salad, chips and bread. Drinks: beer, red and white wine, sodas and water. Dessert: chocolate cake and pineapple.